Hello, dear readers and and adventurers! 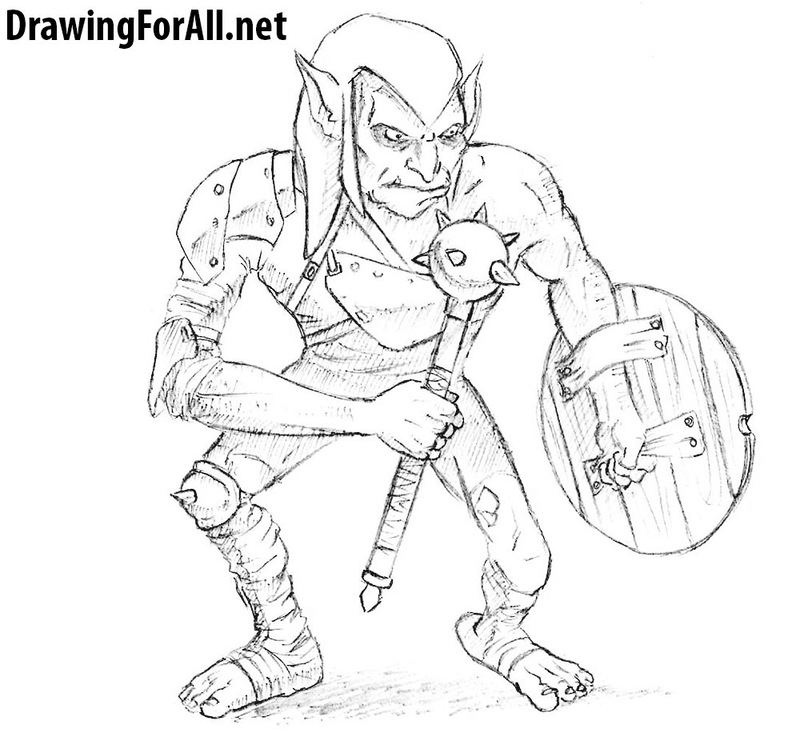 This drawing lesson is dedicated on how to draw a goblin from Dungeons and Dragons. 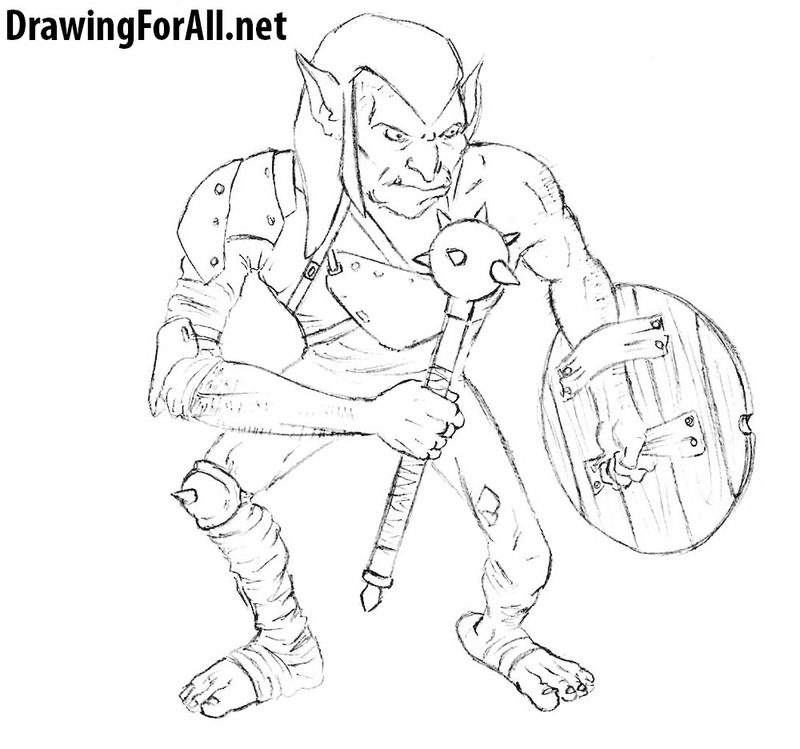 Giblins are supernatural humanlike creatures living according to West-European mythology in underground caves and dungeons. First step is always a base. As the base of goblin we draw his skeleton. 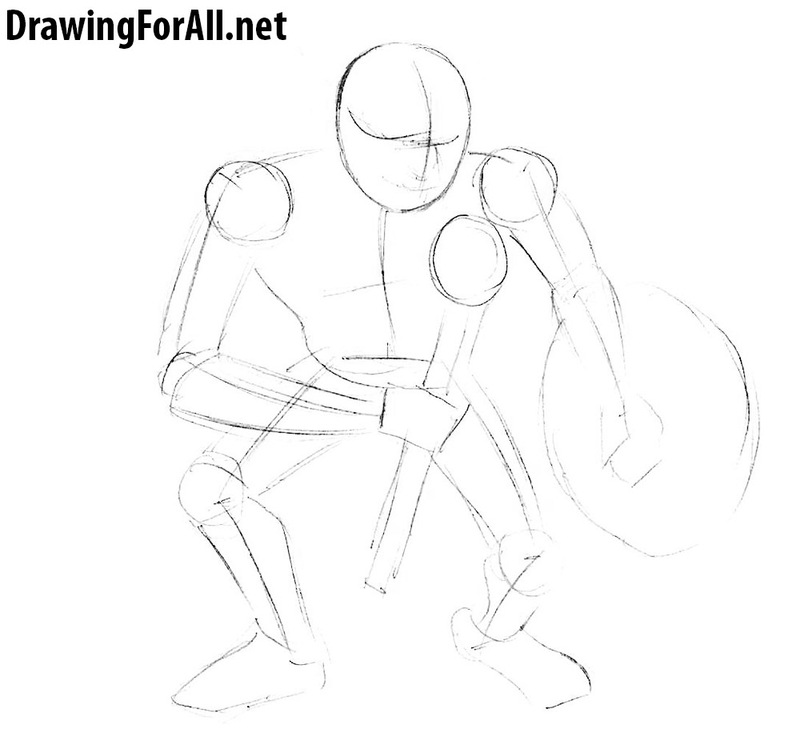 Sketch out the head in a shape of a circle and rest of the body using simple lines. Here we add volume. Start with the lines of the face. 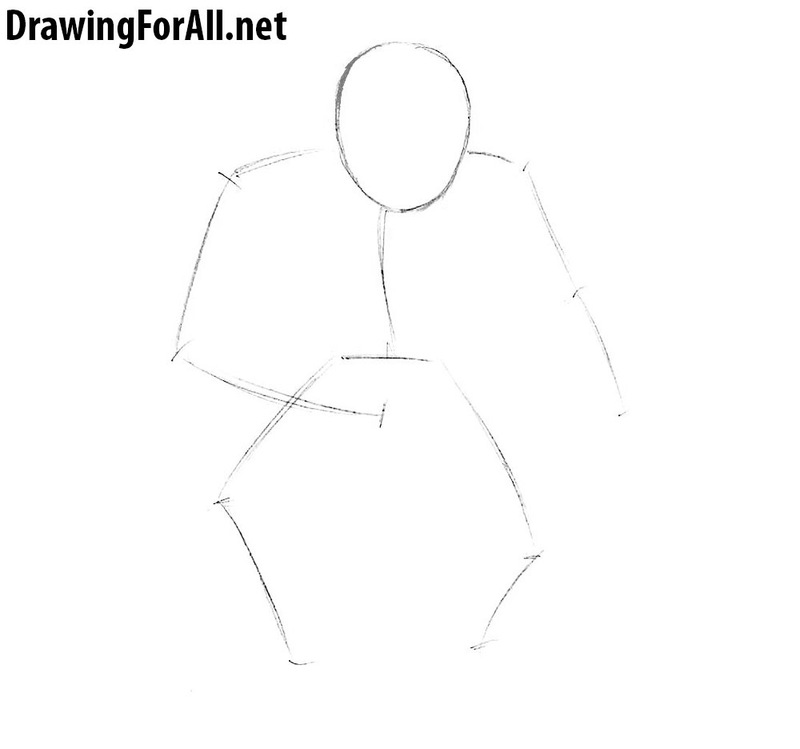 Then move down and draw the parts of the body using simple geometric shapes. In the left hand draw a shield and in the right hand draw a morning star. Here we draw the facial features using the lines from the previous step. 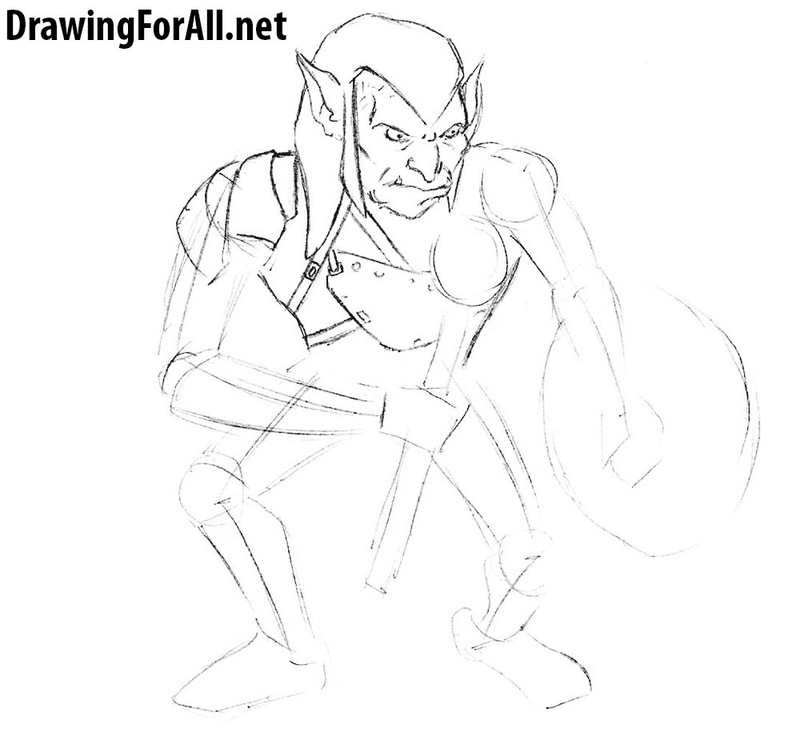 Sketch out the ears and hood that very similar a headdress of Green Goblin. Erase all guidelines from the face. Draw out the lines of the face and head. 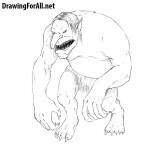 In the legends goblins are described as being very ugly. His face should express anger. 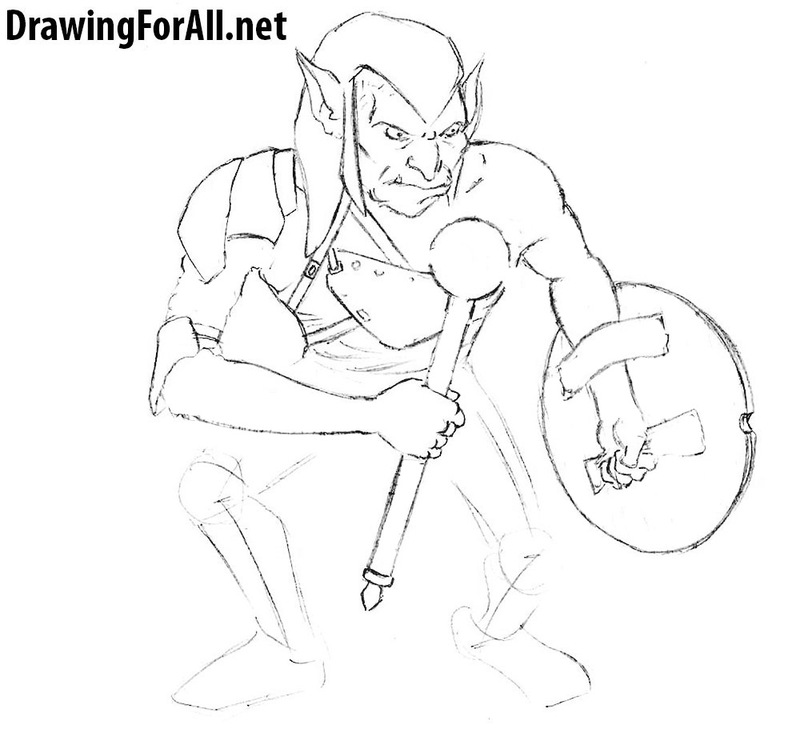 Draw out the armor on the torso and shoulders. Sketch out all straps other details on the torso. 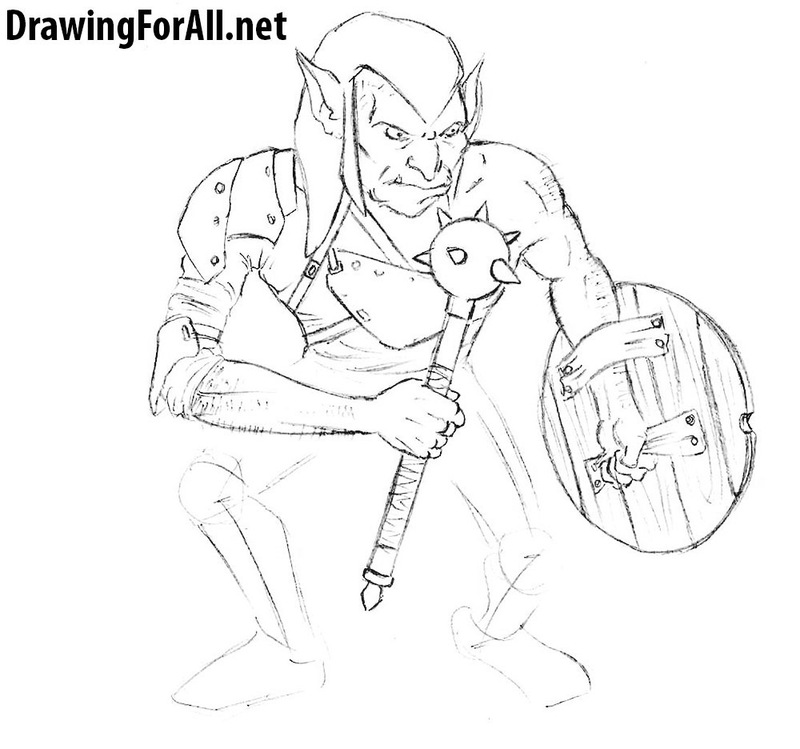 Draw out the arms of the goblin. Make the lines clear and sharp. Pay particular attention to the fingers if you want to learn more please visit the tutorial on how to draw hands. Add such details as hair on the hands, fabric on the upper arm with a number of folds, spikes and leather wrapped around the weapon, texture of wood on the shield. 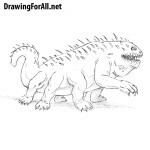 Move down and draw the legs. Erase all remaining guides. Add some armor to the legs. 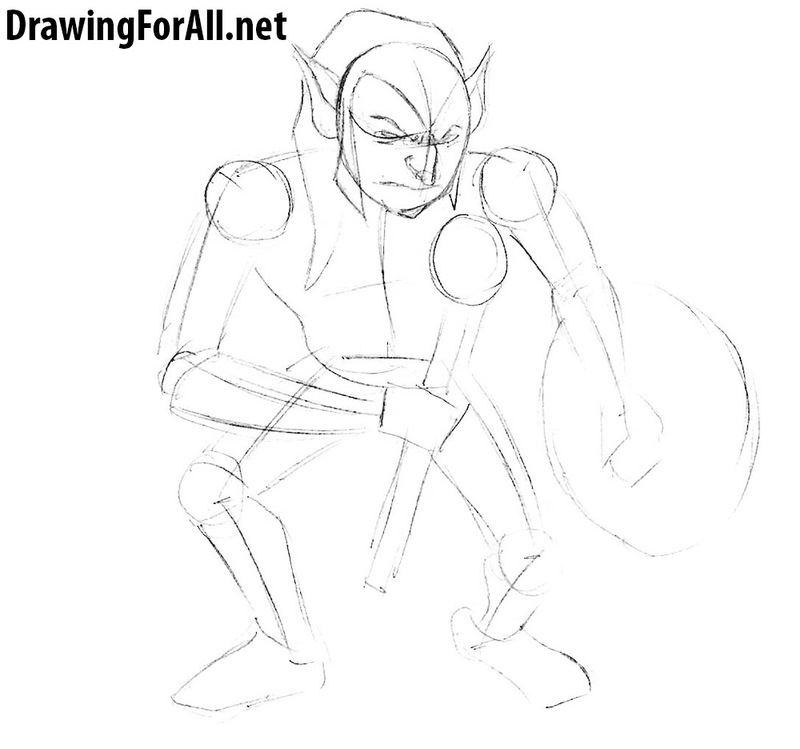 For example we drew a knee armor. Also we drew ragged pants. Of course you can draw any other clothing. We just need to add shadows. 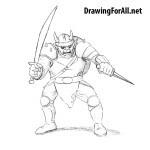 Do this by using a light shading. By the way in the lesson on how to draw grapes we were told in detail how to add shadows. 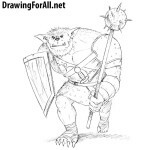 Share this drawing tutorial on how to draw a goblin from Dungeons and Dragons with your friend, in social networks or on your website. And don’t forget to visit other lessons dedicated to fantasy and Dungeons and Dragons, such as on wizard, mummy, dwarf and minotaur.